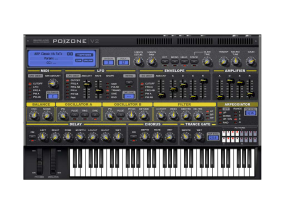 Info über "Image Line Poizone Plug-In FL/VST/AU ESD - Synthesizer"
• 2 oscillators that can produce the two most popular and useful shapes for subtractive synthesis: fat, bright SAW and PULSE shapes, with adjustable pulse width. • DELAY effect, with tempo-synced click-free stereo delays and delay time modulation. Lo-cut and hi-cut for trancers! • 385 high quality factory sounds. 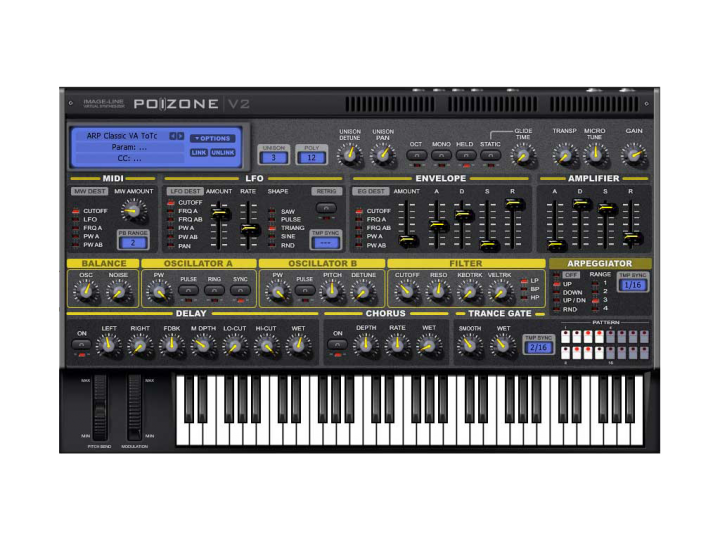 Weiterführende Links zu "Image Line Poizone Plug-In FL/VST/AU ESD - Synthesizer"